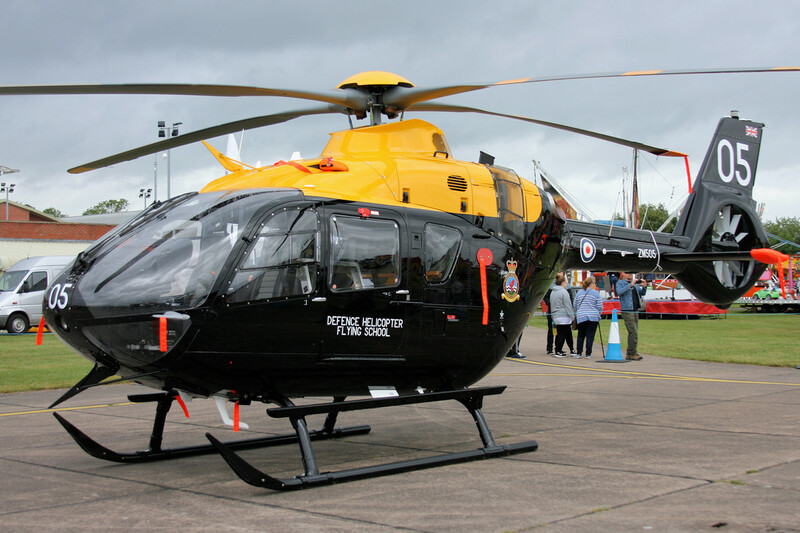 The RAF Cosford Air Show took place on Sunday 11th June 2017, attracting about 50,000 people to the event. 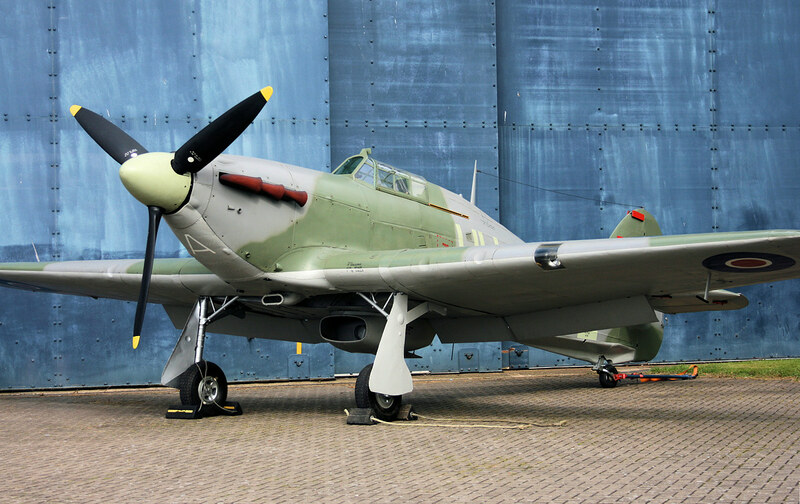 The themes for this year's show included 'International Co-operation ', 'Space', 'Battlefield Support', as well as the 'BBMF 60th Anniversary'. 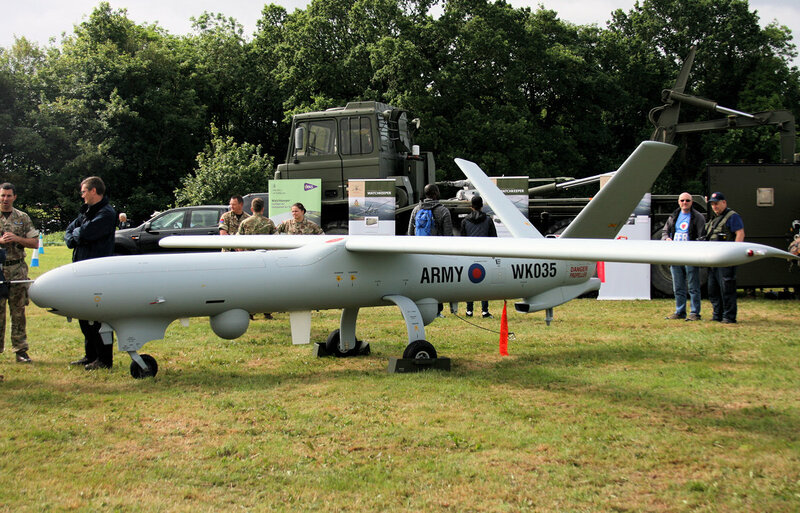 On the ground there was the usual stalls and funfair as well as military displays, the RAF Village, RAF Forward operating Base, Stem Hangar and Vintage Village. 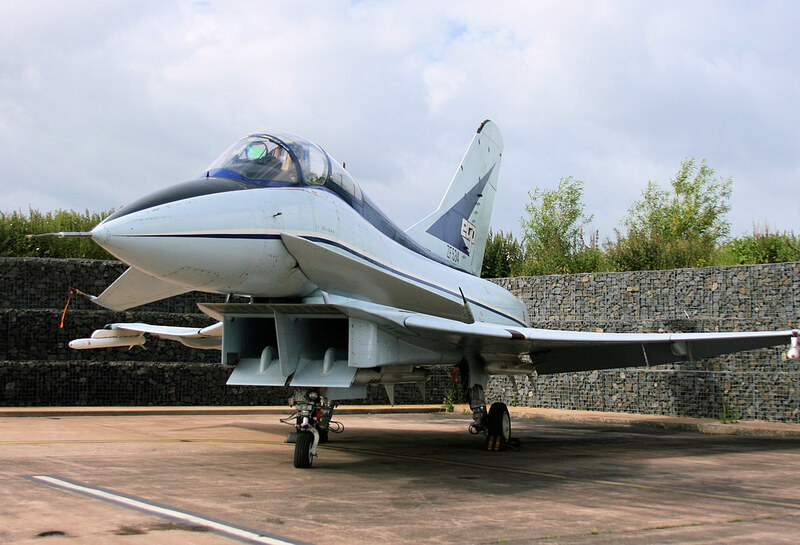 The excellent museum is also worth seeing which contains lots of exhibits including several developmental aircraft, a missile collection and the Cold War museum. 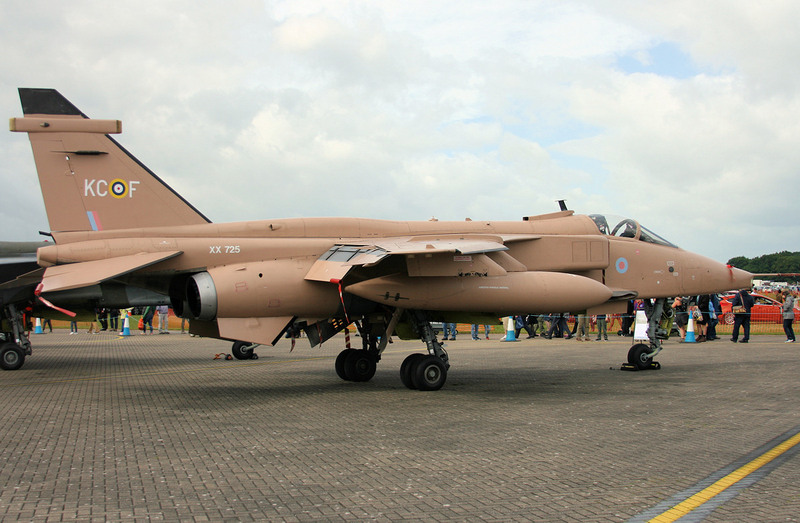 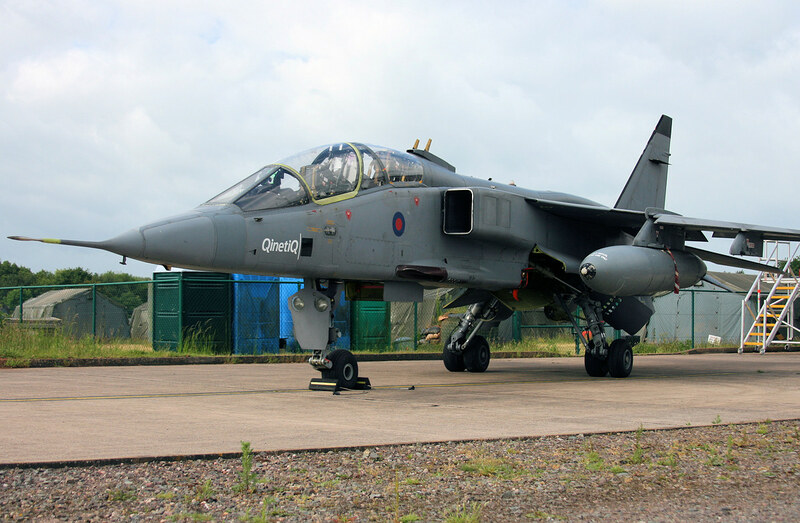 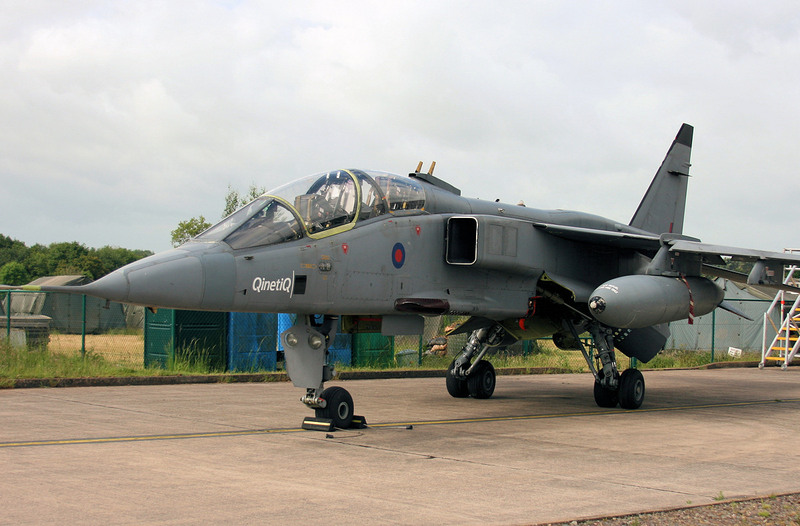 Aircraft on static display included plenty of RAF Cosford's resident Jaguars as well as three of the museum aircraft, the British Aerospace EAP, Harrier GR9, and Hawker Hurricane IIc, which had been moved outside, so that they were well placed to photograph. 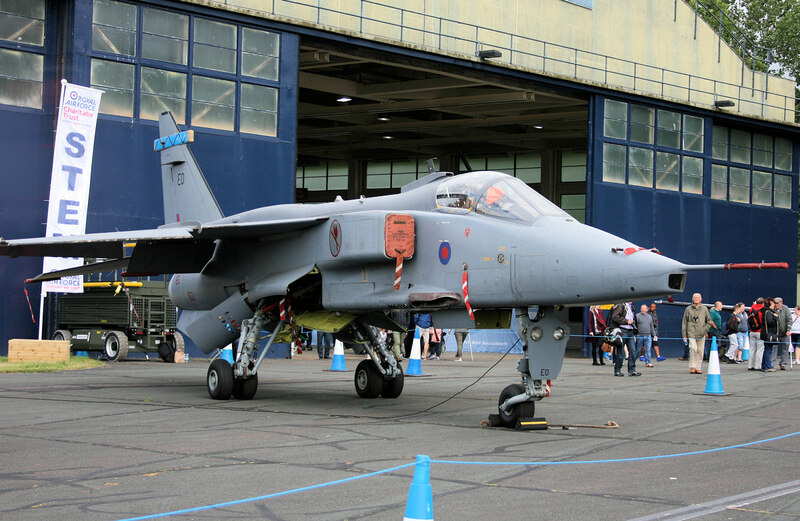 Another interesting aircraft on static display was the VAAC Harrier T4 which spent all of its working life at RAE Bedford and Boscombe Down as an experimental aircraft and used for researching STOVL (Short Take-Off and Vertical Landing) and being used by QinetiQ to develop flight control systems for the new F-35B Lightning II. 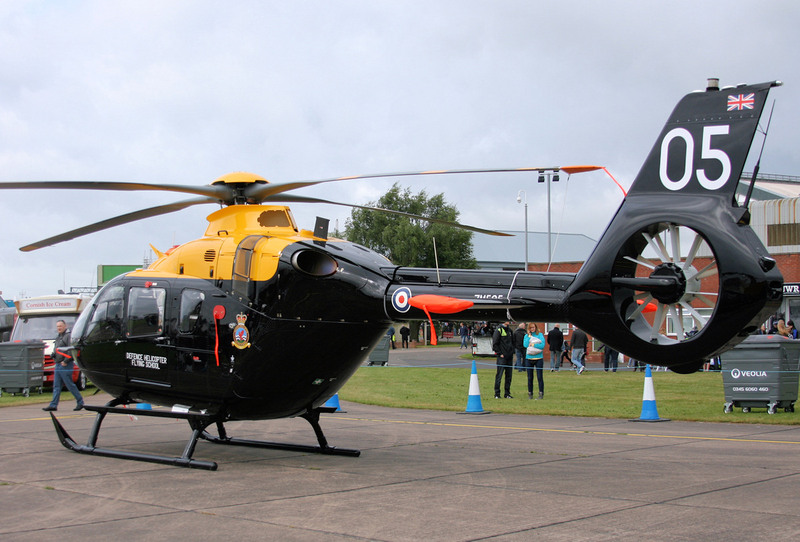 There were a good mix of aircraft on static display including the new Juno HT1 helicopter that is based at nearby at RAF Shawbury. 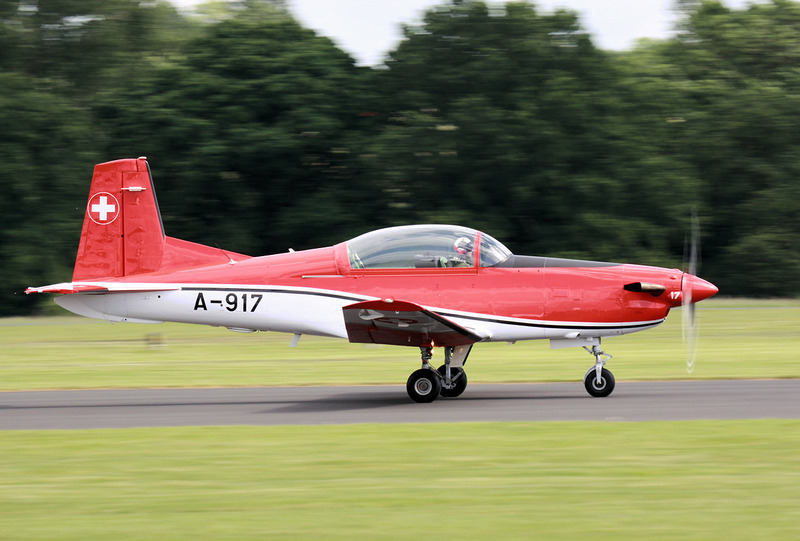 Unfortunately, the new Jupiter HT1 which was also expected to be on static display didn't arrive. 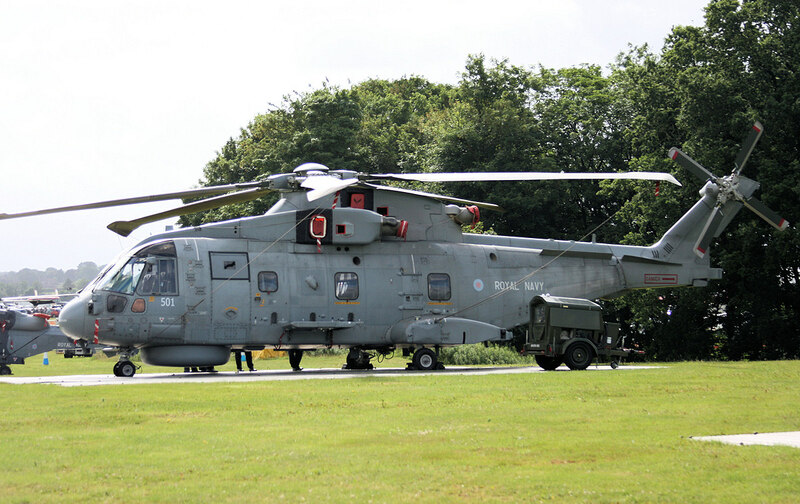 The impressive RAF A400M Atlas was also on the ground. 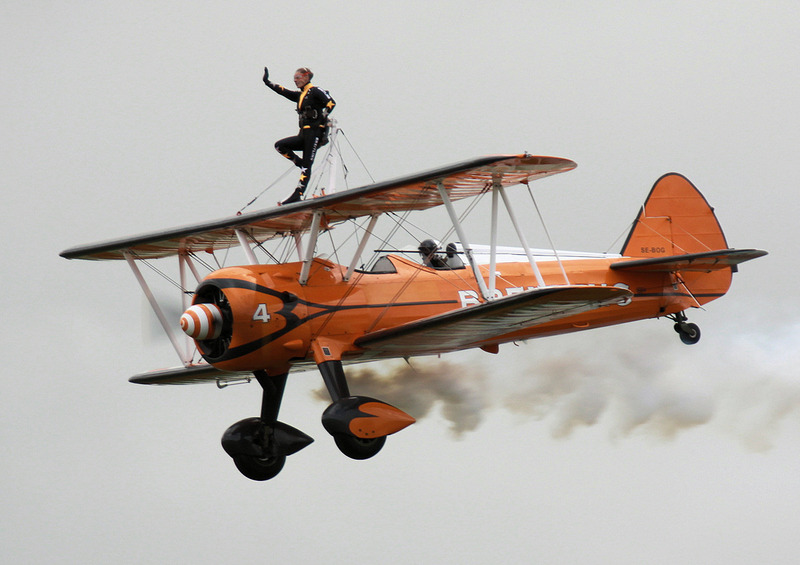 This year the air display was increased to six hours, starting at 11.30am and running until about 5.30pm. 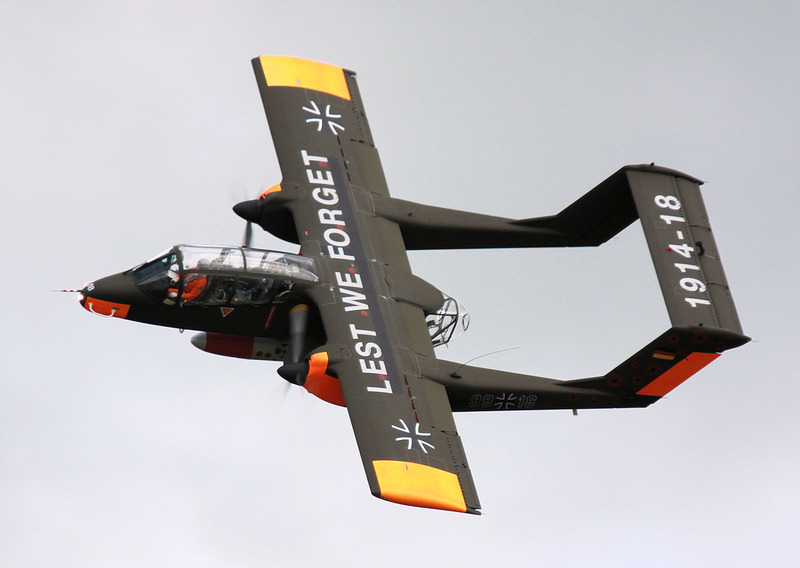 The weather was quite windy throughout the display with changeable conditions and the organisers decided to rearrange the order of the display acts accordingly. 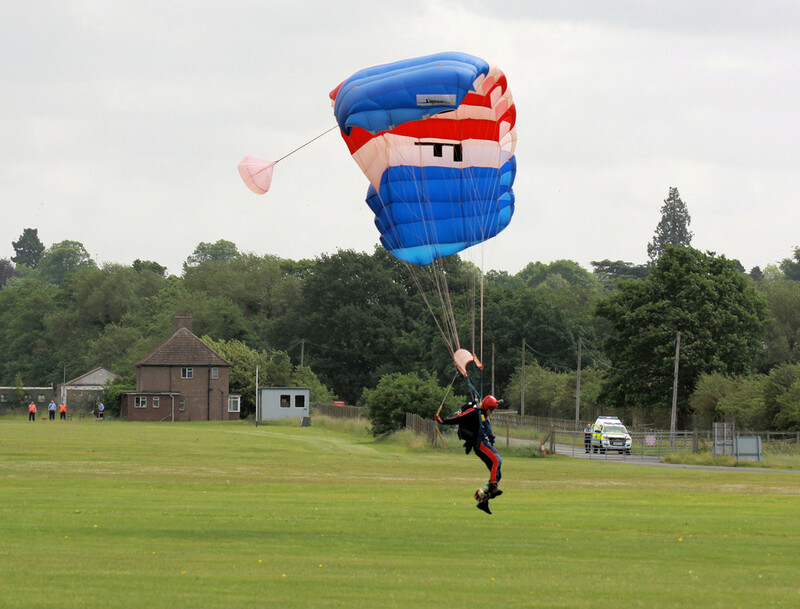 The RAF Falcons parachute team started the air display and were able to perform their jump despite the windy conditions. 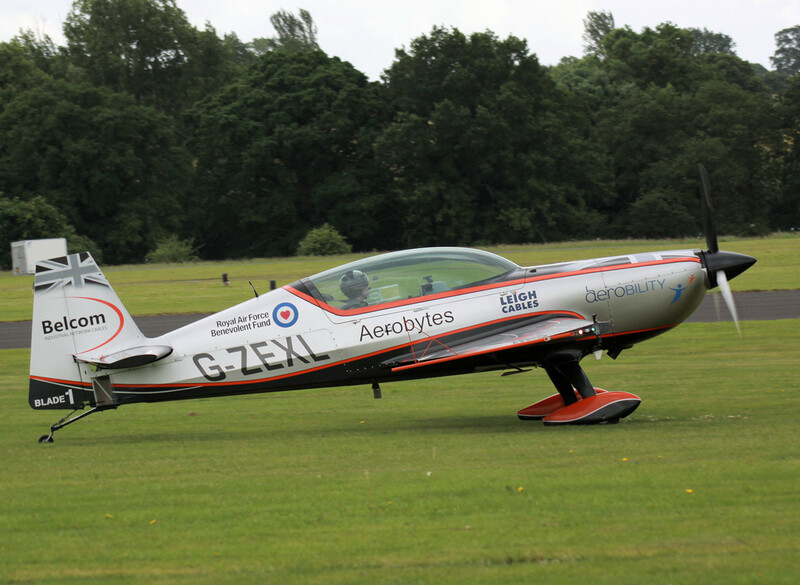 A late and welcome addition to the show was a single AeroSPARX motor glider , which is probably better known for its evening displays with wingtip pyrotechnics and LED light show, but put on a nice graceful display at RAF Cosford. 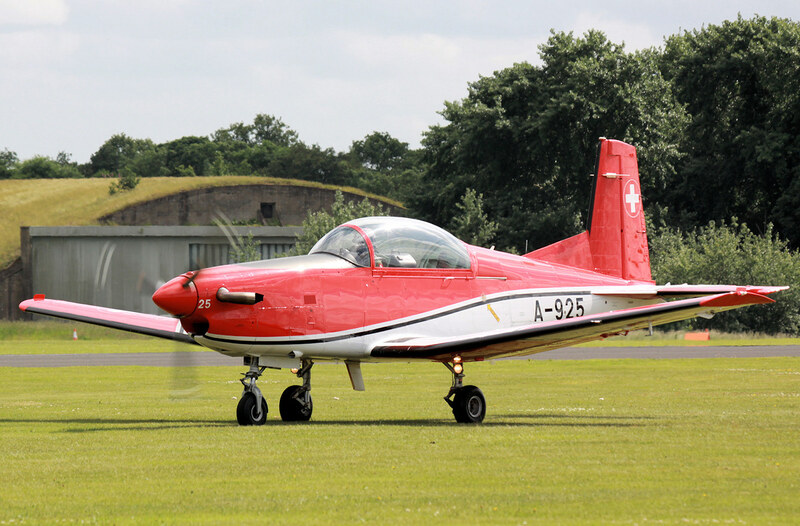 Four Tutor T1 aircraft (G-BYWU, G-BYWV, G-BYWD & G-BYVL) then took-off together before breaking and coming back to land. 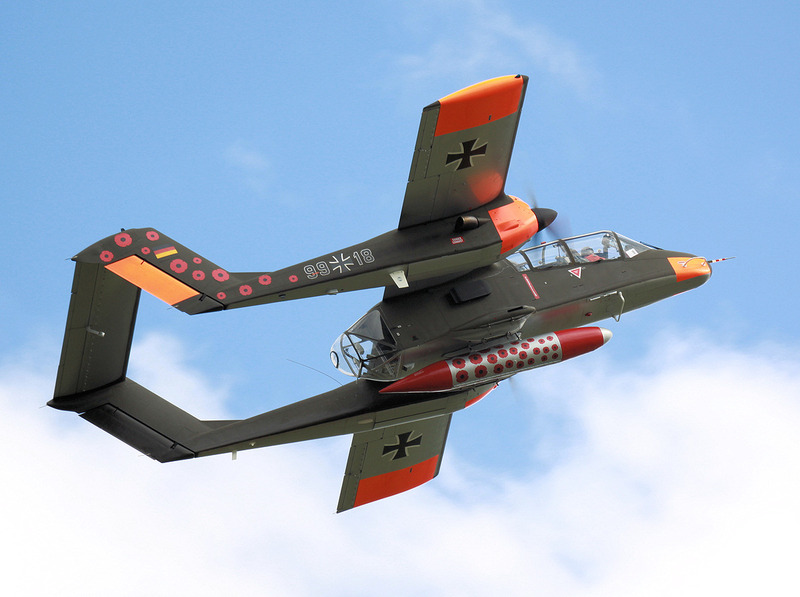 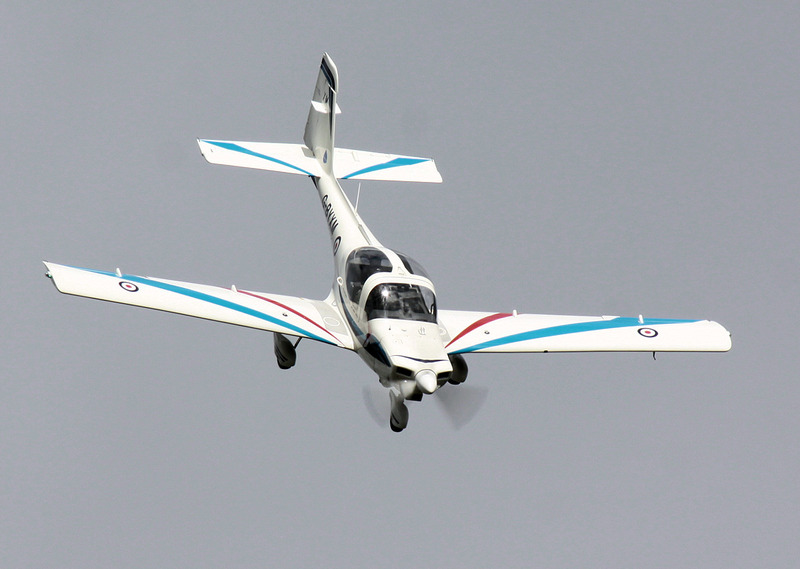 The Grob Tutor is used for elementary flying training by the Royal Air Force. 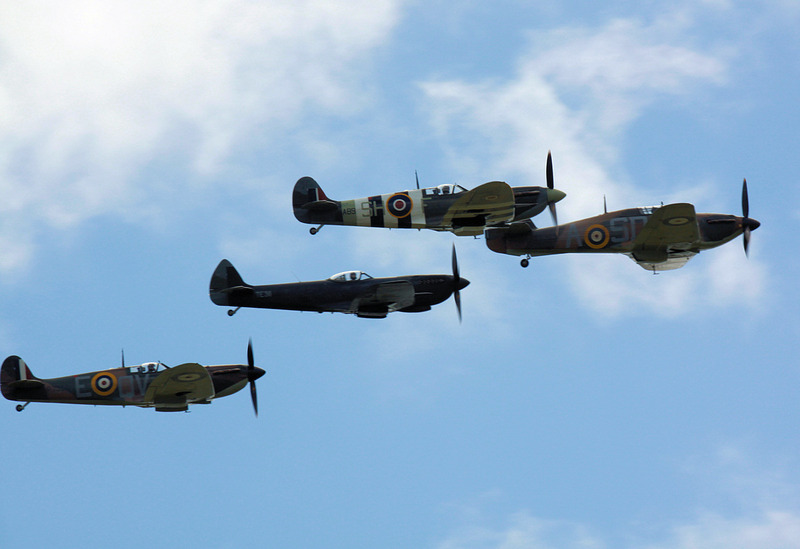 Next to display was the Battle of Britain Memorial Flight (BBMF), who are celebrating their 60th anniversary, and displayed with a Hurricane IIc (LF363) and three Spitfires, a Mk.IIa (AB910), Mk.Vb (P7350) and Mk.XVIe (TE311). 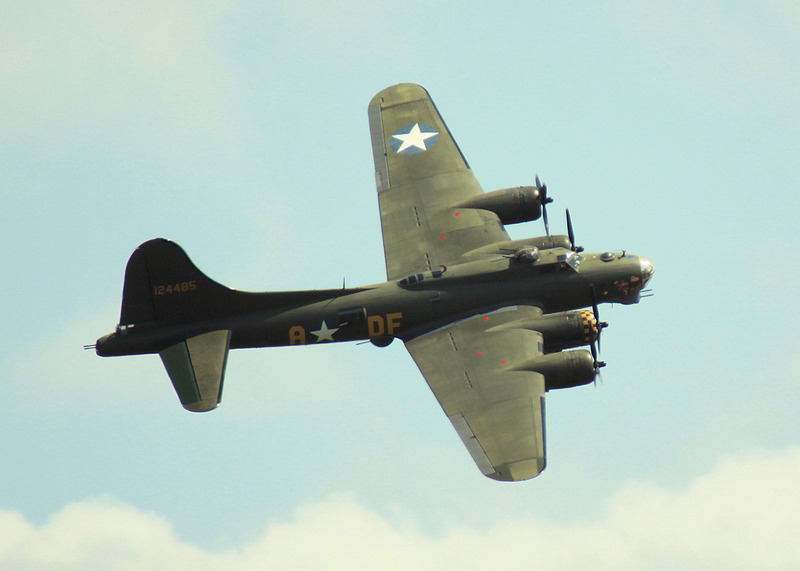 The BBMF Lancaster is currently at Duxford undergoing maintenance by the Aircraft Restoration Company as well as being repainted. 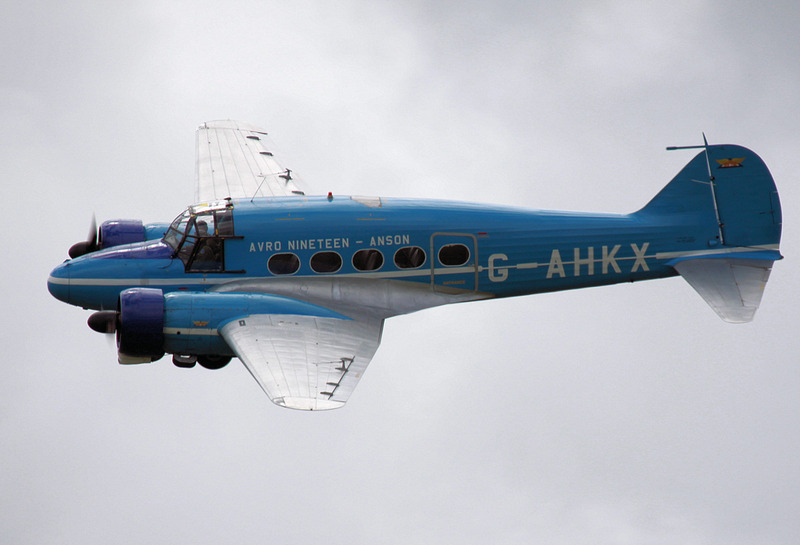 Next up was the Shuttleworth Avro C19 Anson (G-AHKX) based at Old Warden in Bedfordshire. 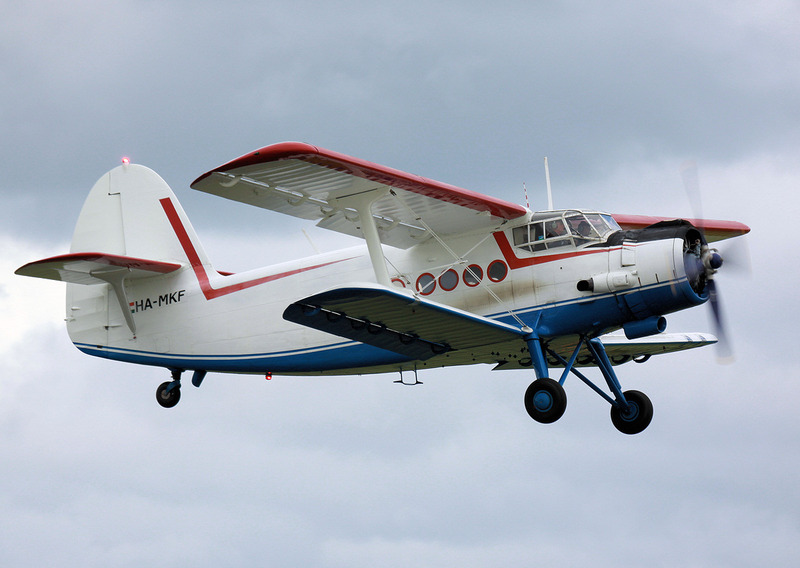 The Anson is a British twin-engined, multi-role aircraft, developed in the mid-1930s and built in large numbers, for a variety of roles. 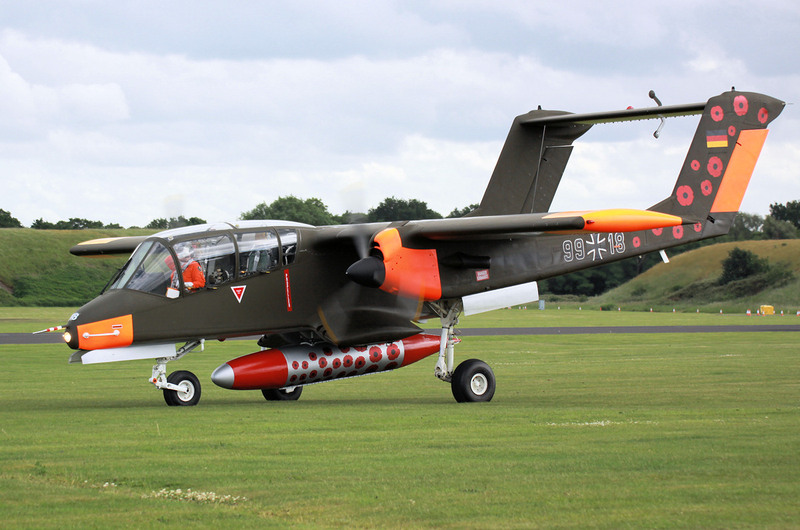 It was then great to see an RAF Puma helicopter land at Cosford before the display continued with the Strikemaster Pair (actually a Jet Provost T52 & Strikemaster Mk82a) along with some pyrotechnics. 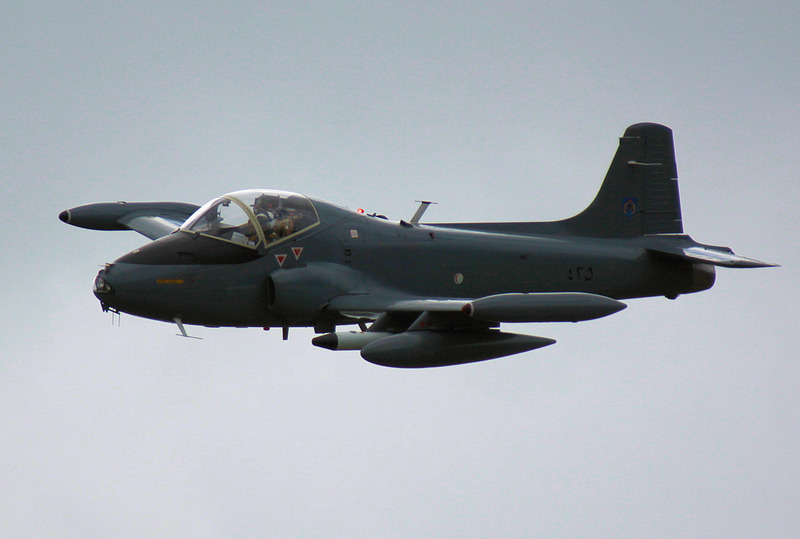 The British-built Strikemaster is essentially an armed version of the Jet Provost T Mk.5 with an uprated engine, wing hardpoints capable of carrying four 500 pound Mk82 bombs, and two machine guns under the intakes. 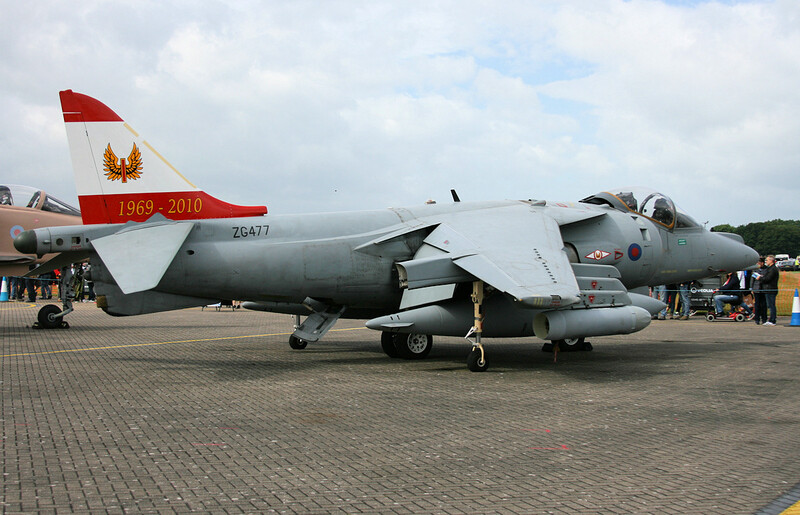 They were exported to many countries including Oman. 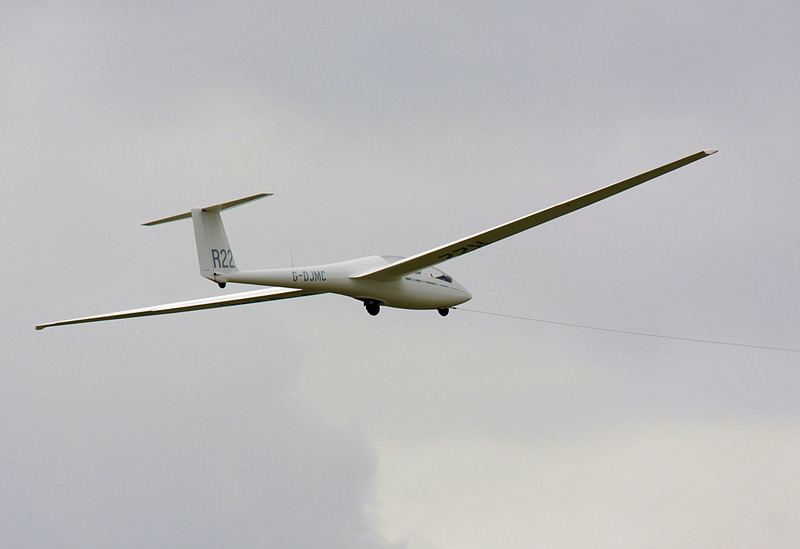 The Schleicher ASK21 Glider (G-DJMC) was next to display after it had been towed into the air by a glider-tug (G-SAWG). 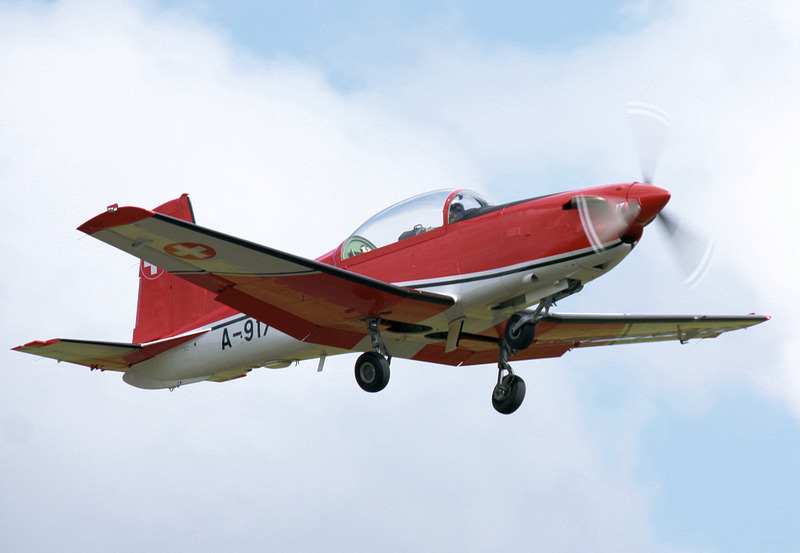 This is a glass-reinforced plastic, two-seater mid-wing glider and is primarily for beginner instruction, but is also suitable for cross-country flying and aerobatic instruction. 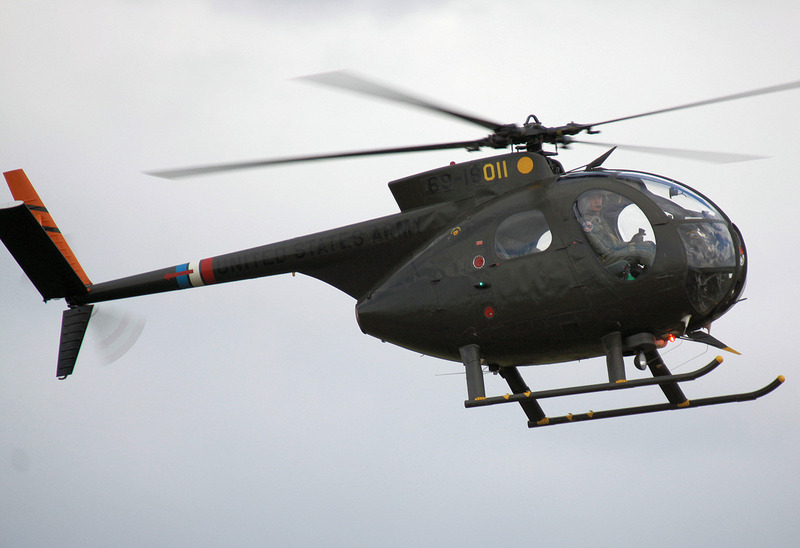 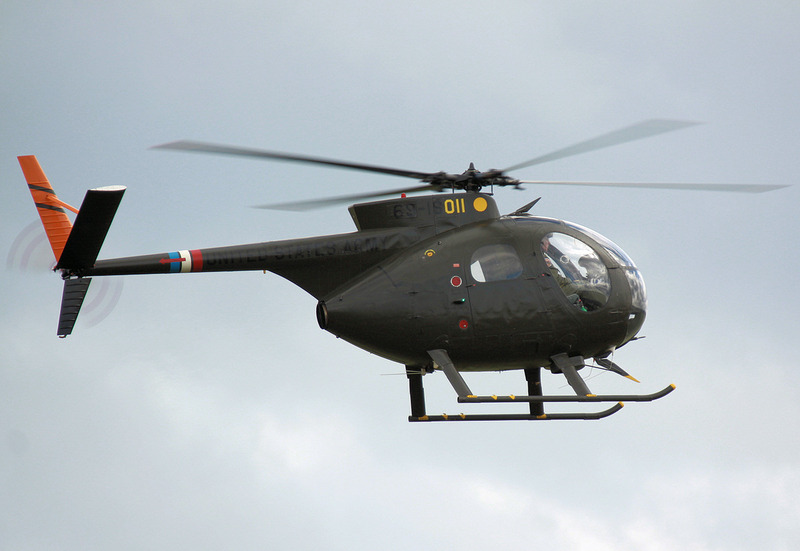 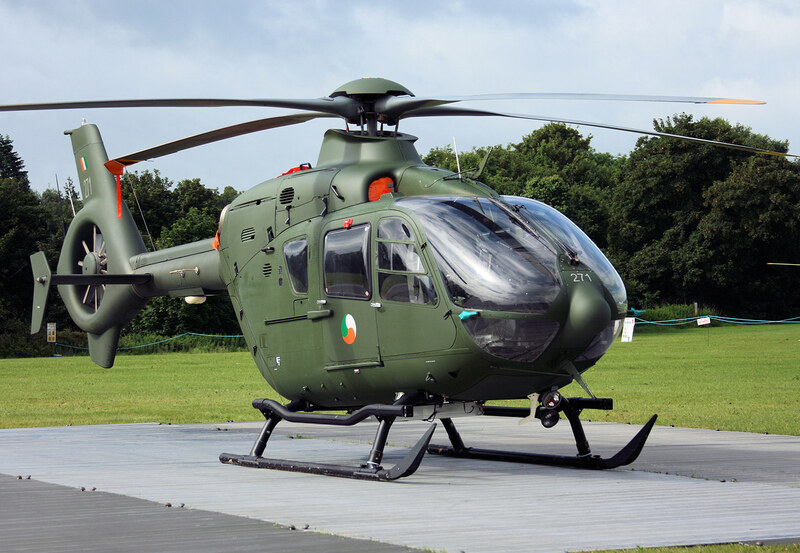 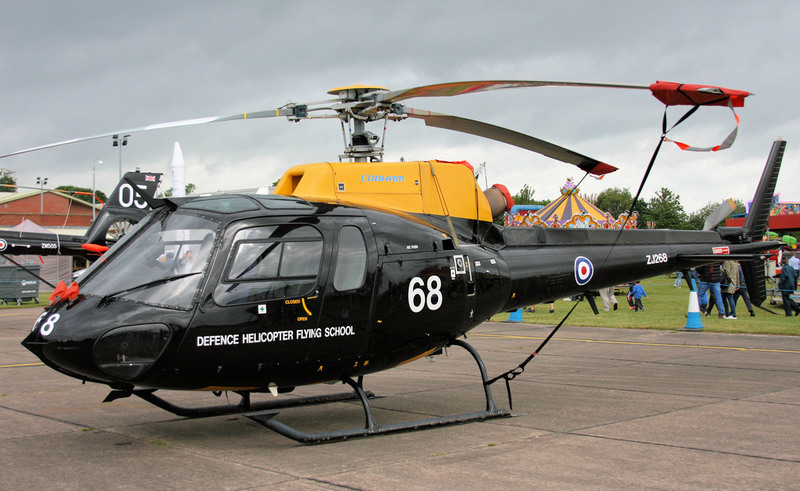 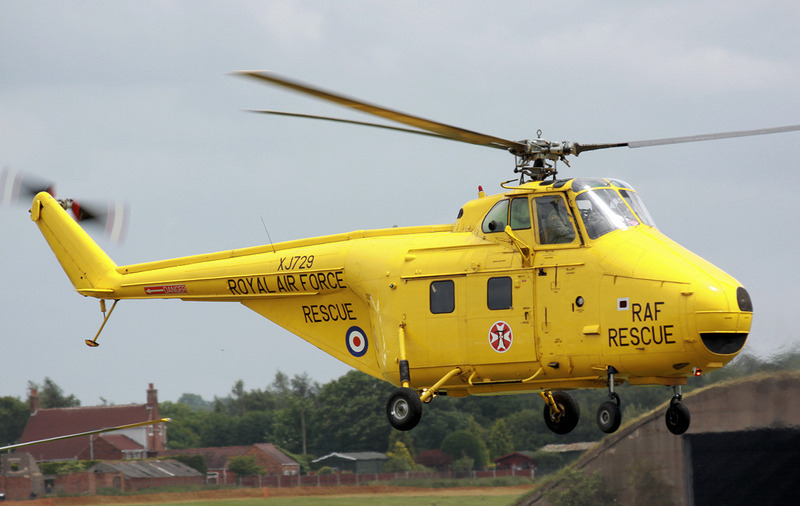 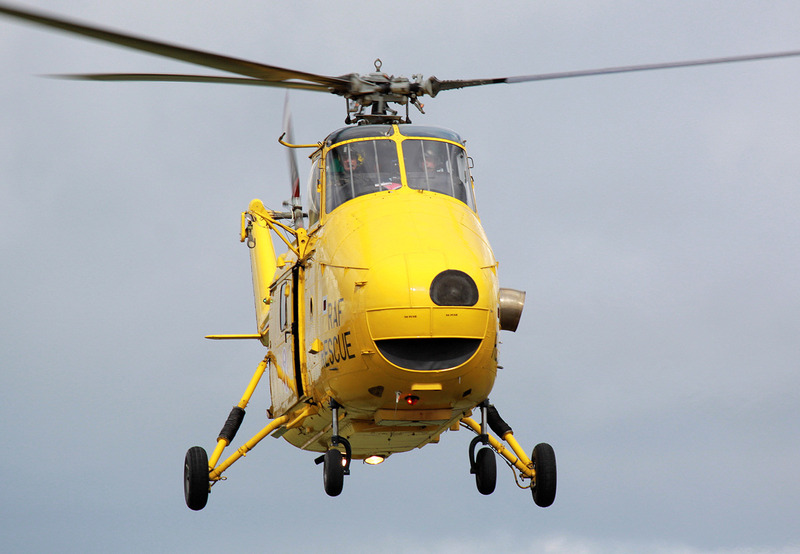 We then saw the bright yellow Whirlwind HAR10 helicopter (XJ729). 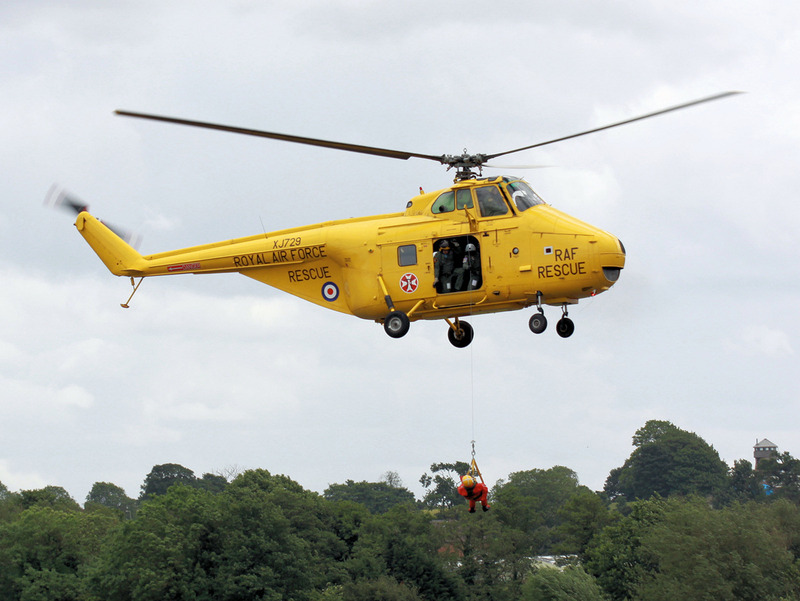 The Whirlwind helicopter was a 1950s British licence-built version of the American Sikorsky S-55/H-19 Chickasaw and served with the Royal Navy Fleet Air Arm as an anti-submarine and search & rescue helicopter. 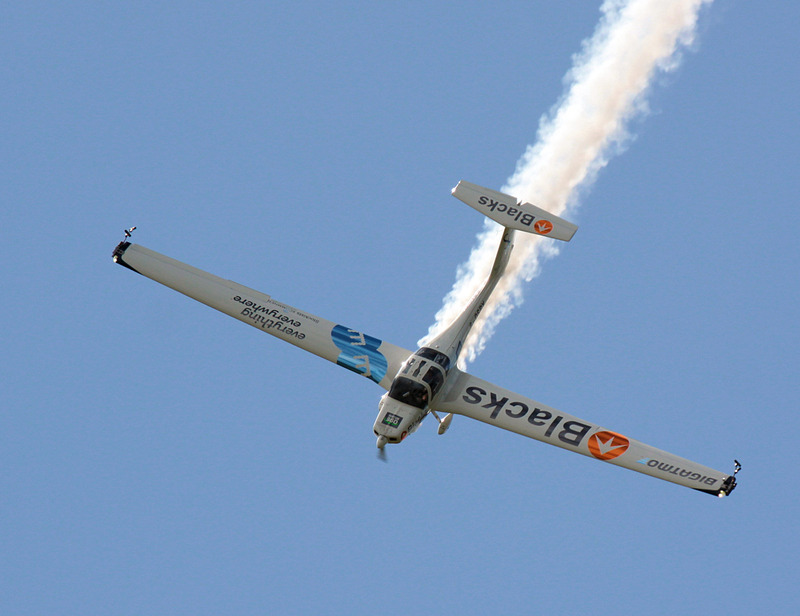 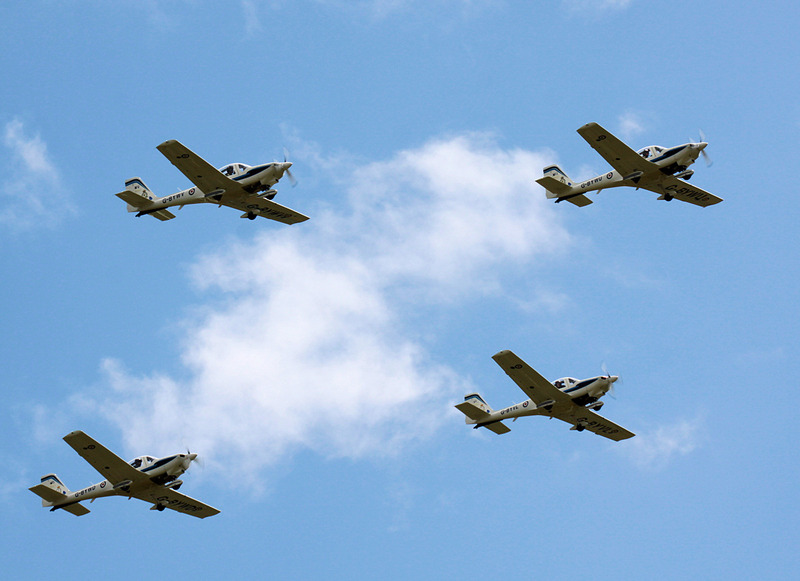 We then had the Blades Aerobatic Display Team, but with three Extra EA-300 aircraft, instead of the usual four aircraft. 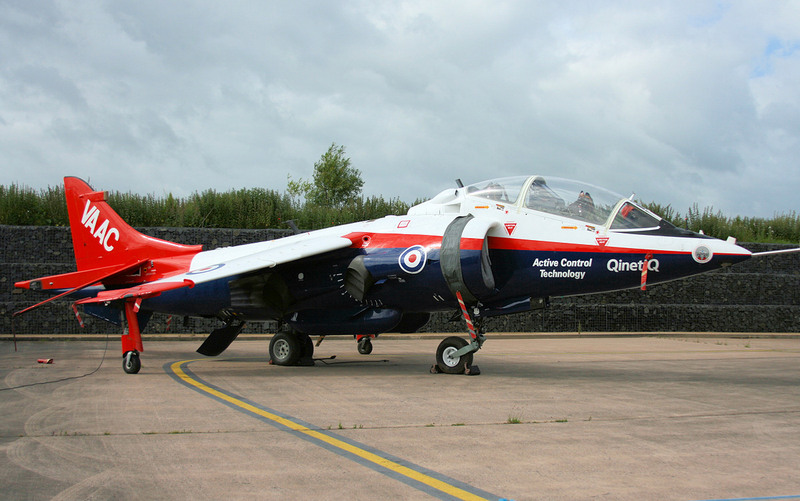 The aircraft are flown by former RAF fast jet and Red Arrows pilots and they put on a polished if somewhat distant display at times. 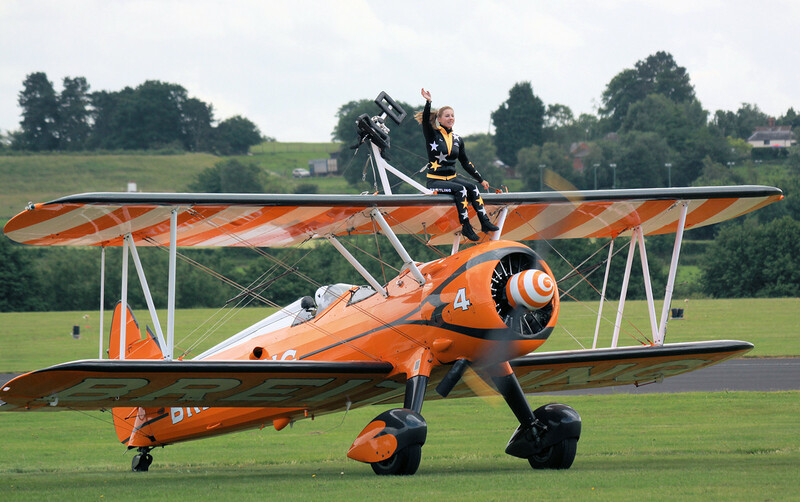 The Breitling Wingwalkers were next with two Boeing Stearman biplanes with Gina Marshall and Katie Hobbs on top of the wings. 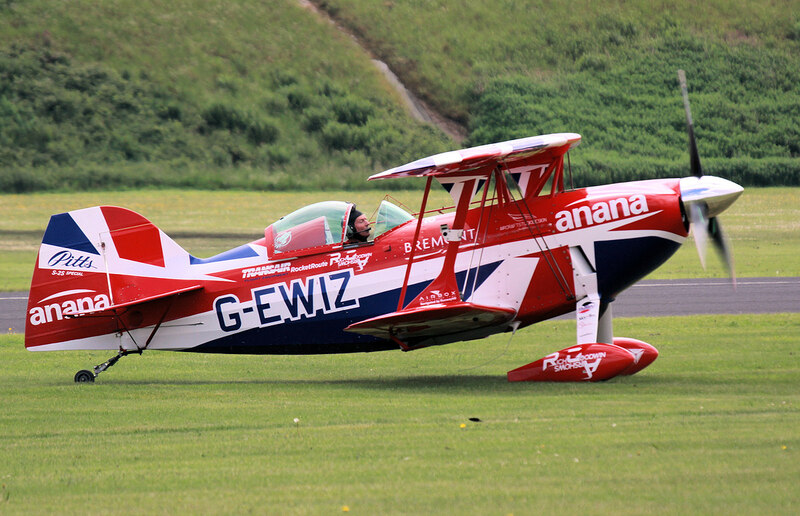 Then we had Rich Goodwin in his red, white & blue Pitts S2S Special aerobatic aircraft (G-EWIZ) putting on a simply amazing display. 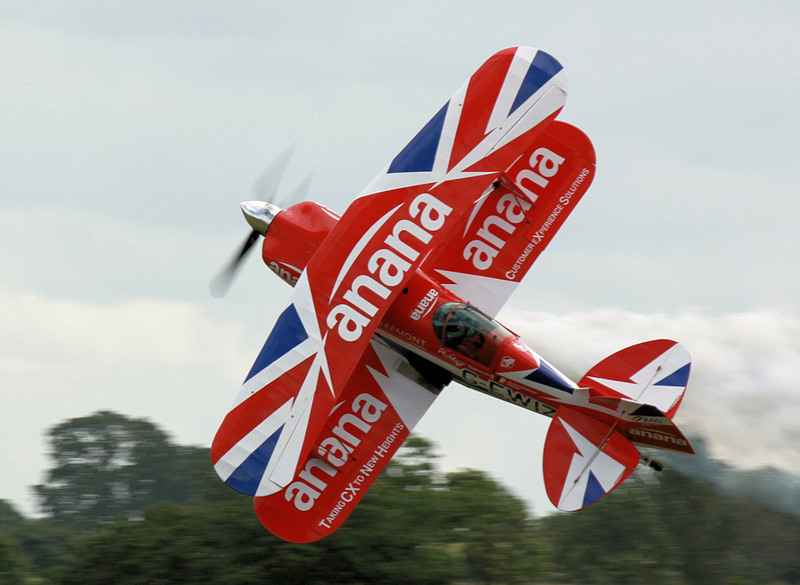 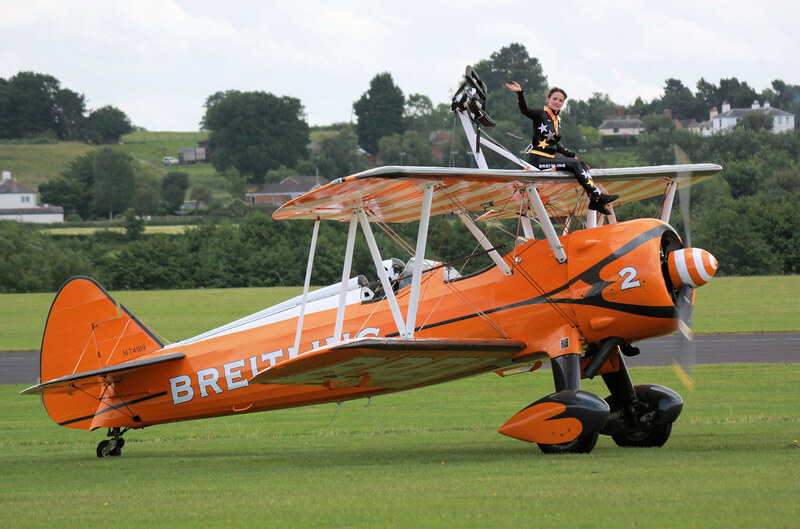 This aircraft has been specially modified to provide the ultimate biplane for air show entertainment and was expertly flown by Rich Goodwin. 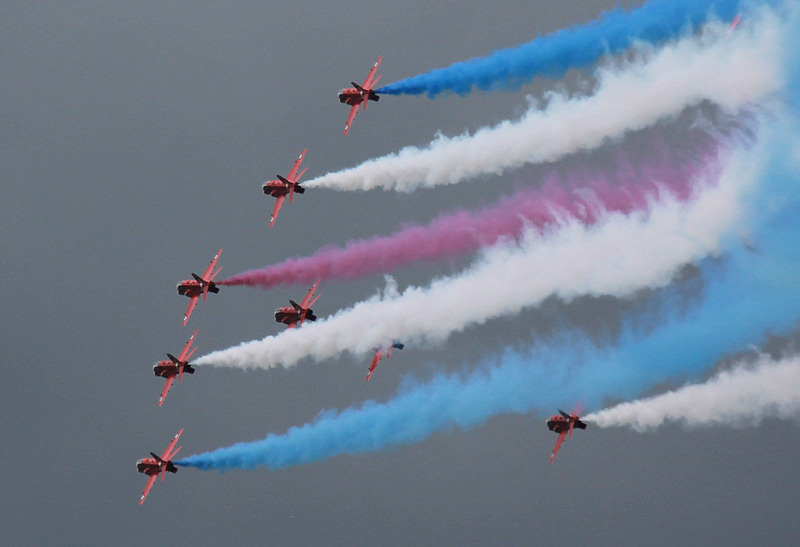 The Red Arrows and RAF Typhoon were up next but it was announced just before the show that due to recent changes in display flying regulations, both display acts would be performing their flying displays on an alternative display axis, which would enable them to both perform their full displays to the west of the airfield. 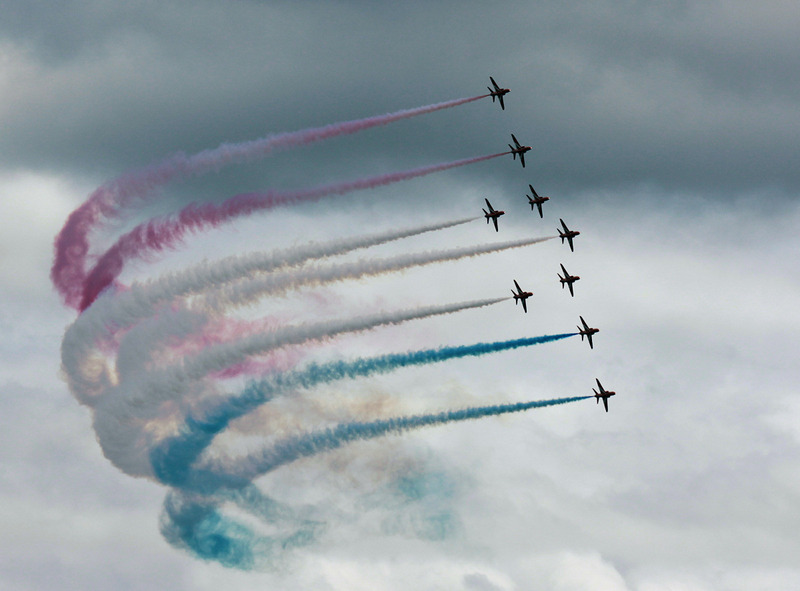 The Red Arrows started their display by overflying the crowd from behind as usual, but then displaying to the west, but it did take a lot away from their display. 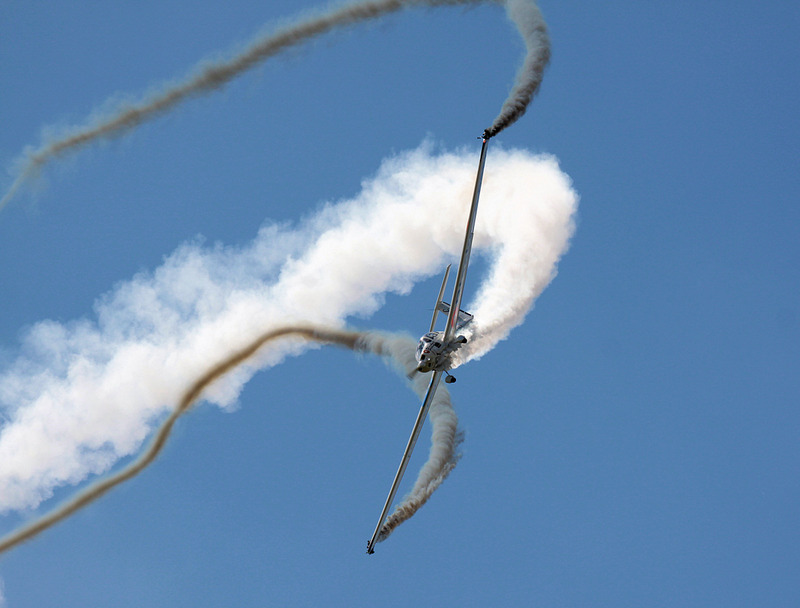 People to the right of the crowdline may have had a reasonable view but those to the left would have struggled to appreciate the excellent Red Arrows display. 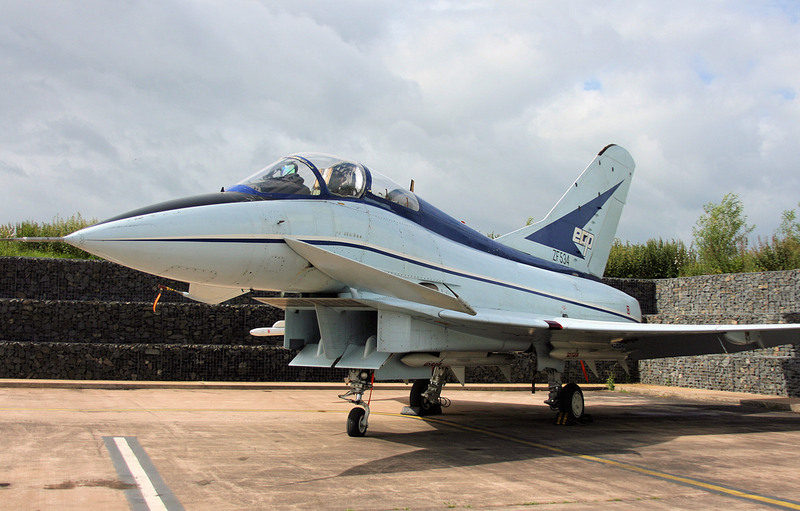 The RAF Typhoon had a problem and so he wisely decided to just do a flypast before departing. 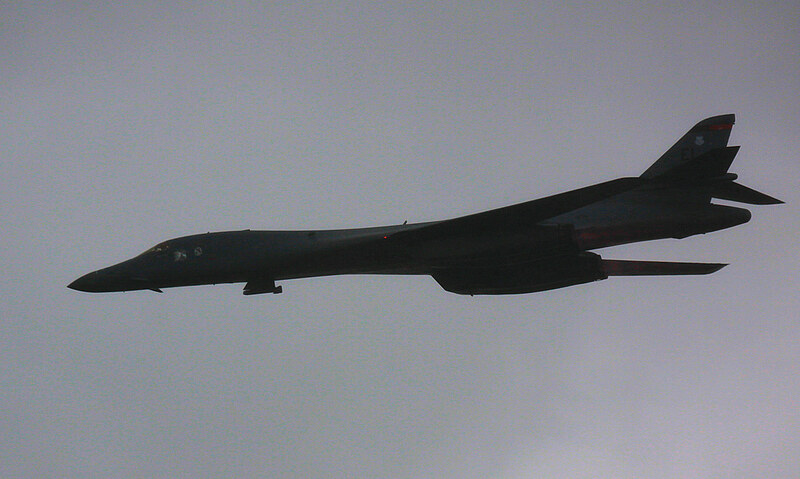 The weather then started to deteriorate with dark clouds and a shower of rain before the USAF B-1b roared in with a single flypast and looked and sounded ominous in the dark murky weather. 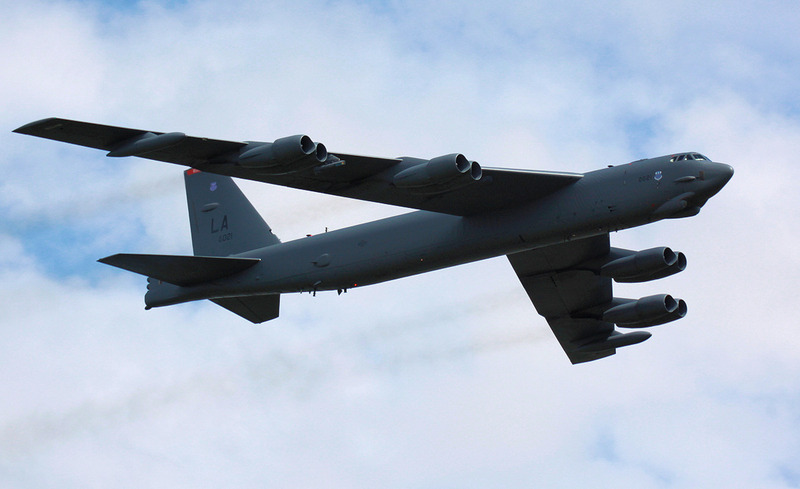 Nicknamed the Bone (B-One), it is a supersonic strategic bomber with a variable-sweep wing, and is currently deployed to RAF Fairford on exercise. 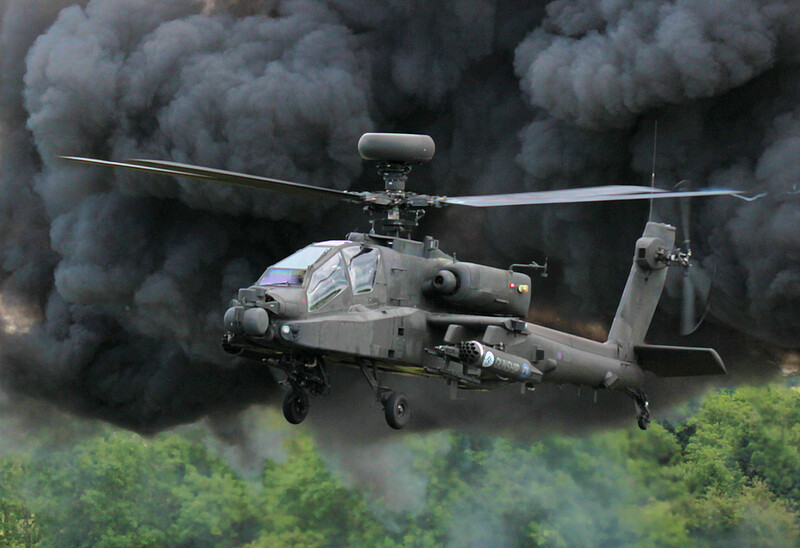 The shower of rain stopped and it became brighter as we saw the AAC Apache put on its display along with pyrotechnics. 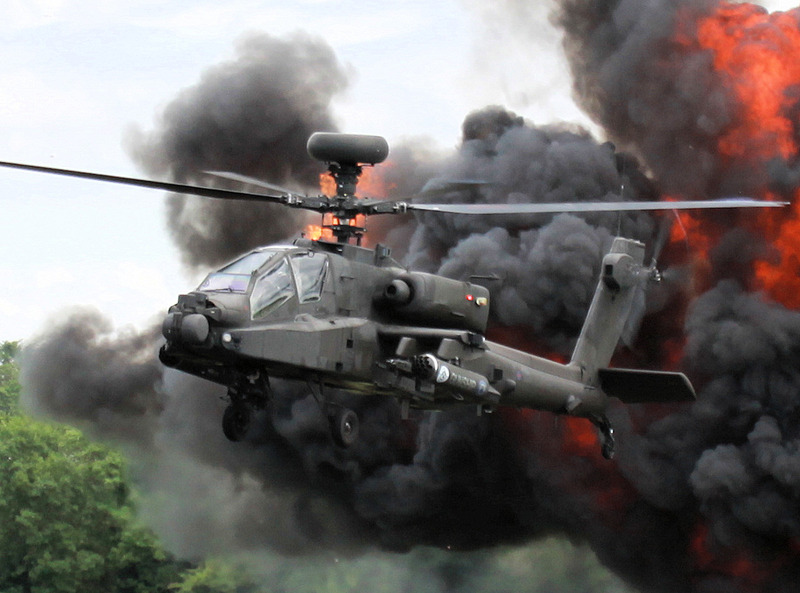 At the end of the display it hovered at crowd-centre before there was an explosion and a huge impressive wall of fire behind the Apache, which was ideal for all those photographers who were standing in the right place. 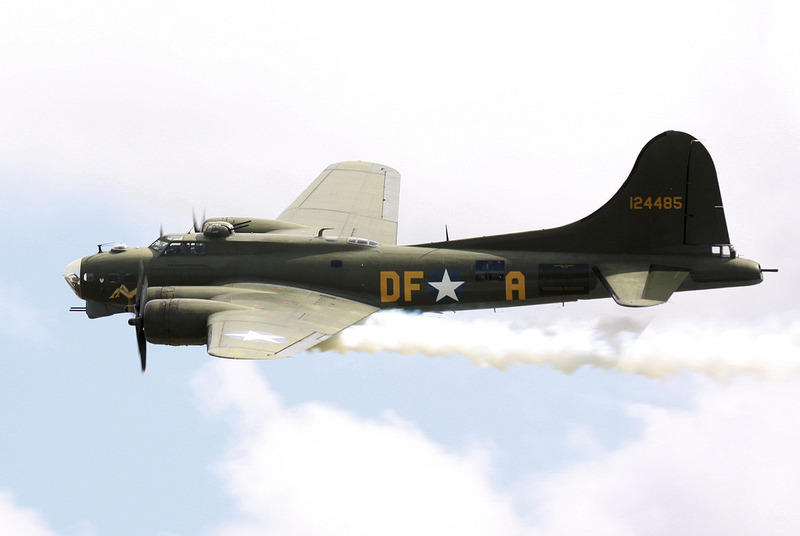 The B-17 Flying Fortress 'Sally B' did its display next followed by a couple of flypasts of the massive USAF B-52 Stratofortress. 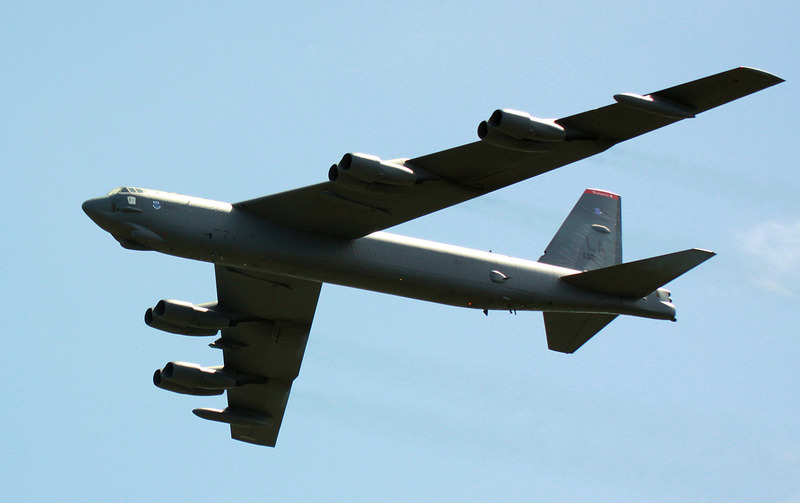 The B-52 is an American, long-range, subsonic, jet-powered, strategic bomber, with eight engines, and this one is also currently deployed to RAF Fairford on exercise. 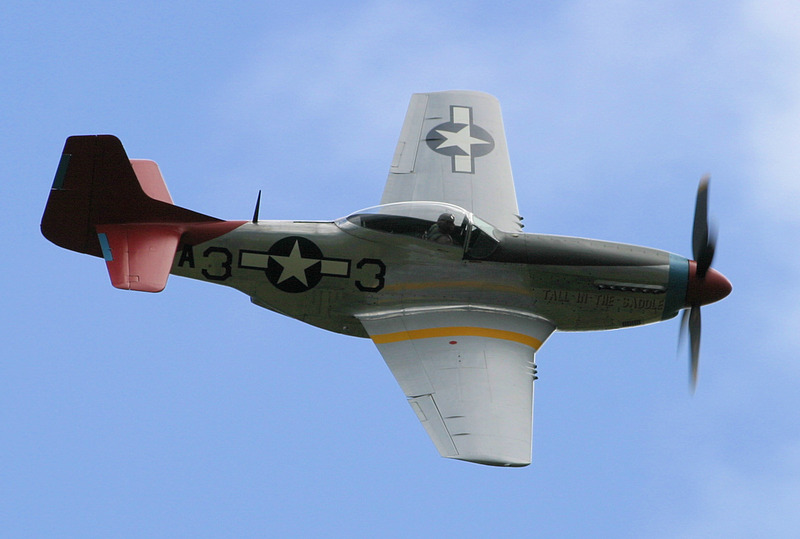 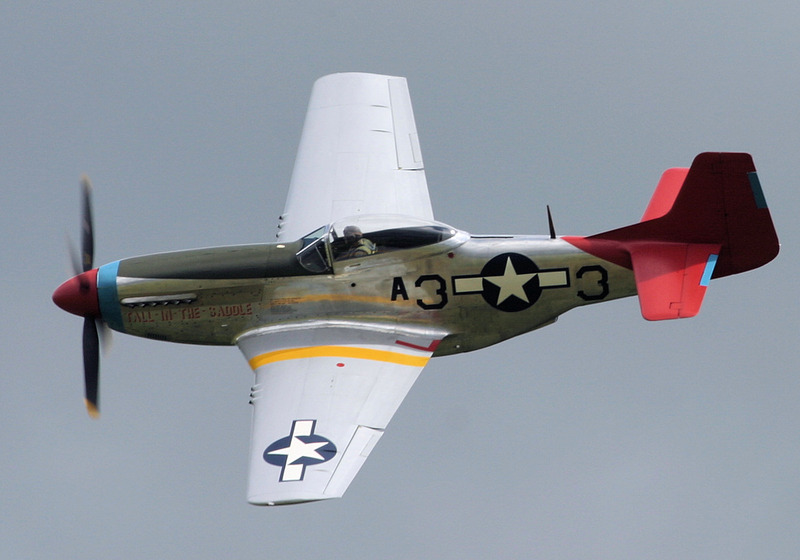 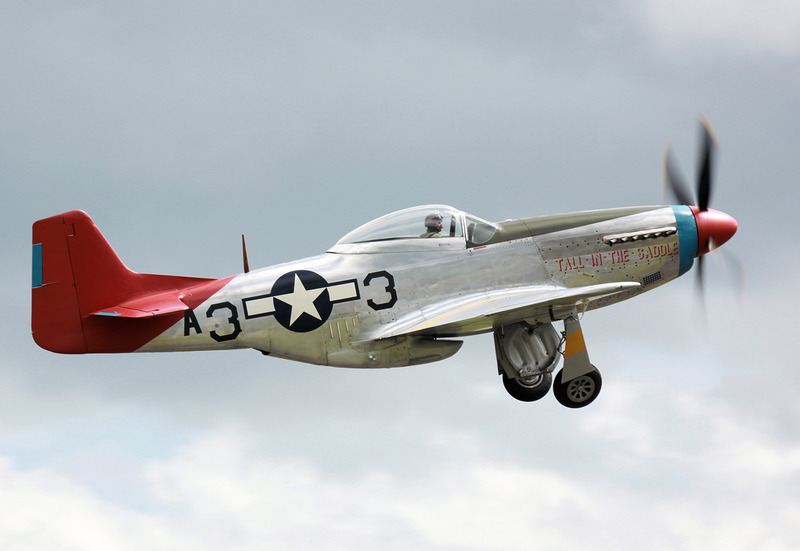 Peter Teichman's P-51D Mustang (44-72035) 'Tall In The Saddle' also displayed and this particular aircraft was assigned to the 332nd Fighter Group, USAAF, during WWII, which became famous as the first all African-American Fighter Group. 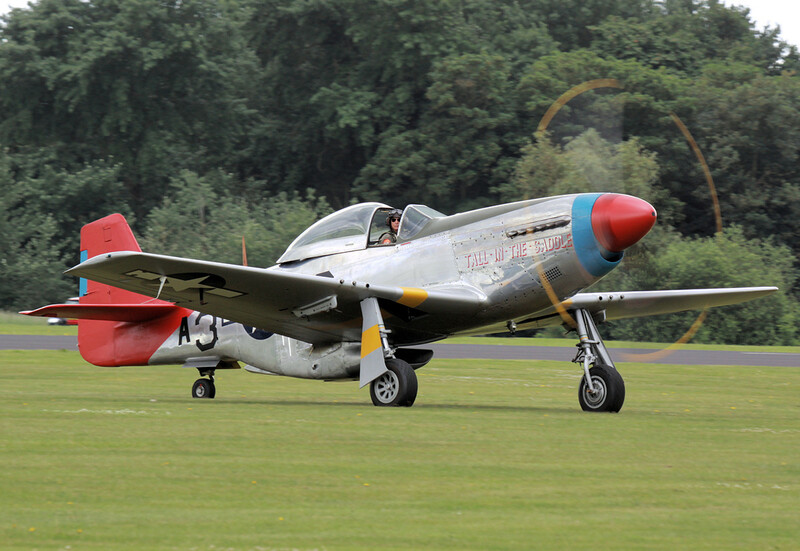 They were known as 'The Tuskegee Airmen' and would paint their aircraft tails red, giving them the nickname 'Red Tails'. 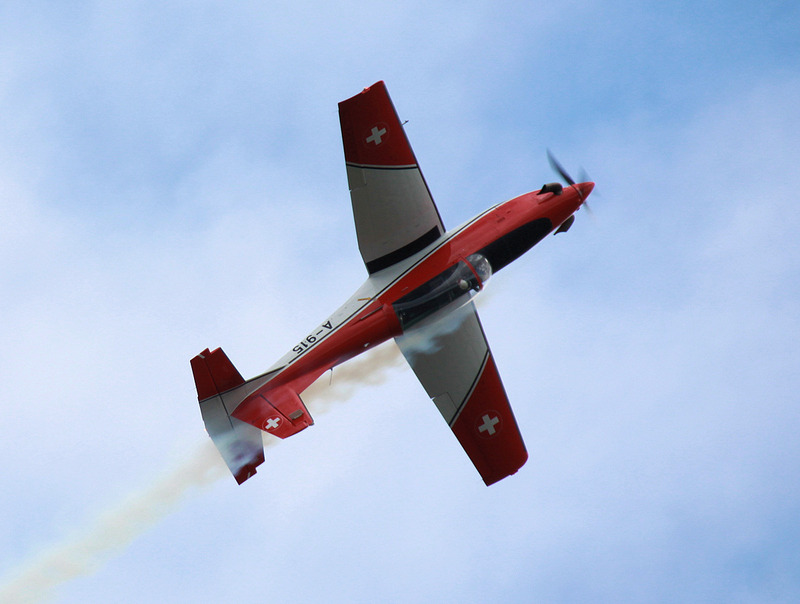 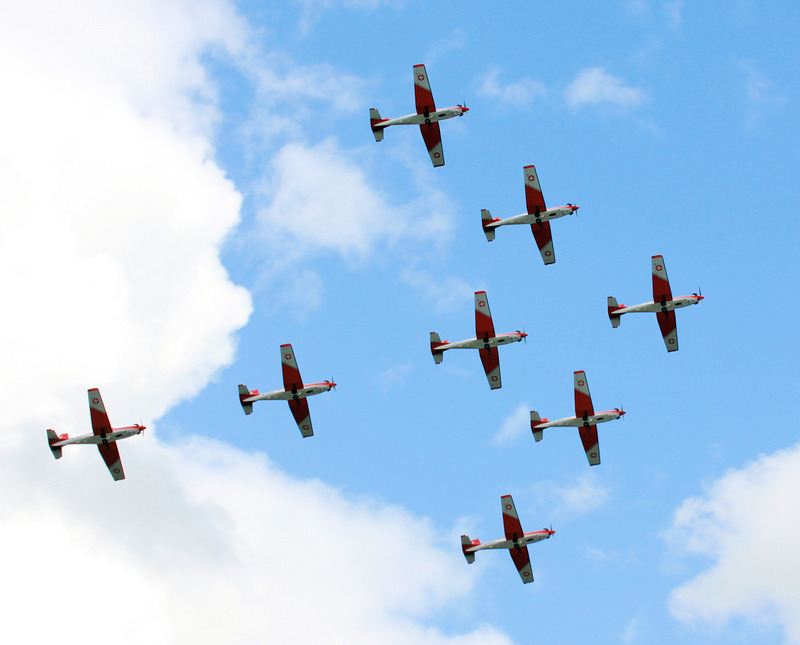 The Swiss Air Force brought along their PC-7 Team which consists of nine red & white Pilatus PC-7 aircraft. 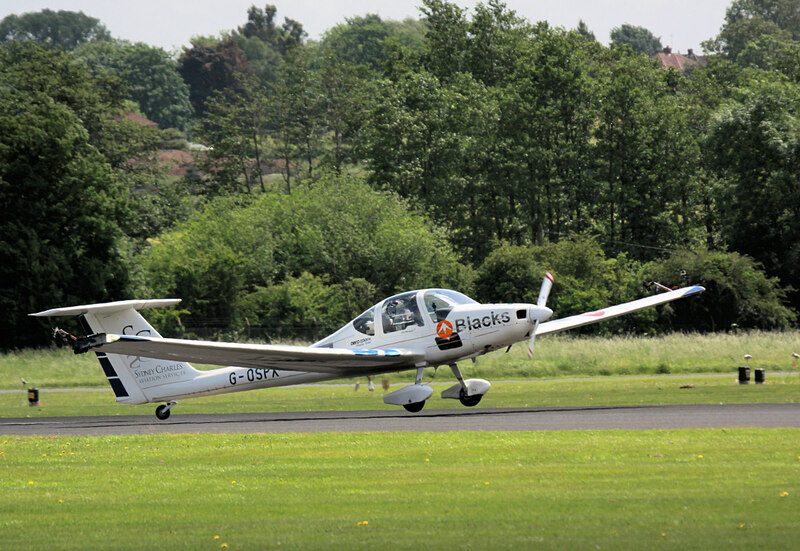 This was the first time they have displayed at the RAF Cosford Air Show and they performed with graceful precision and great skill winning them The Hartree Memorial Trophy for their immaculately flown formation display. 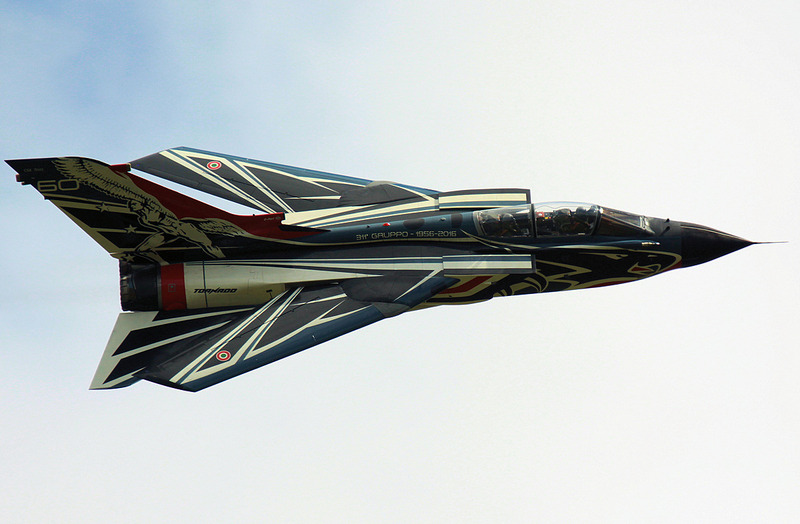 Another highlight was the Italian A-200 Tornado which won an award for its stunning paint scheme. 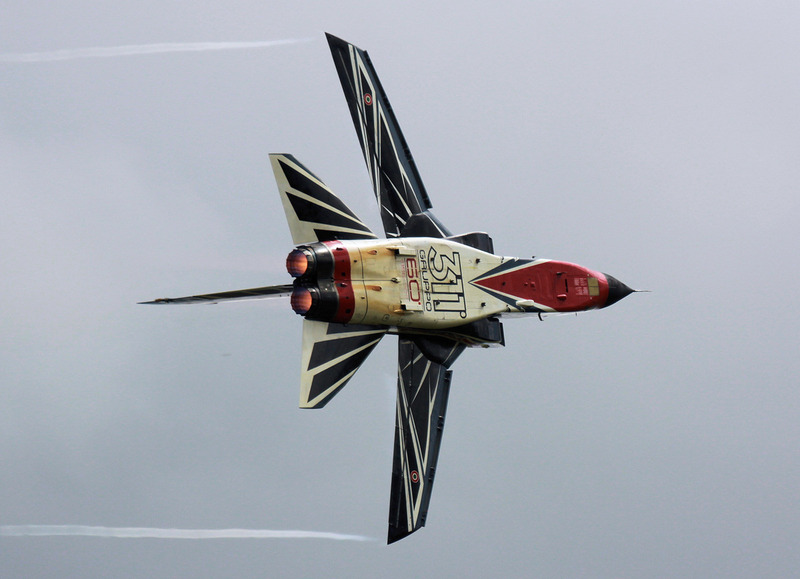 It put on a very powerful and impressive display much to the delight of the watching crowd. 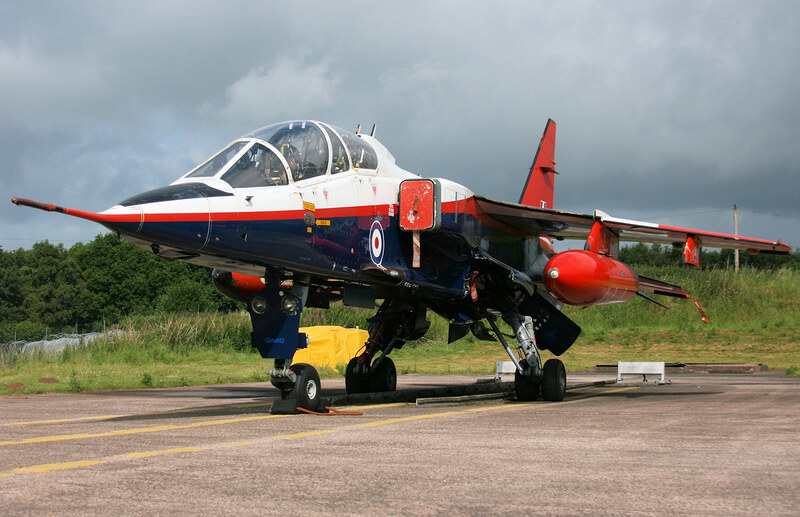 After the mighty Tornado display we had the more sedate Tutor T1 (G-BYXM) display, performing a series of loops and rolls, and flown by Sqn Ldr Andy Tagg. 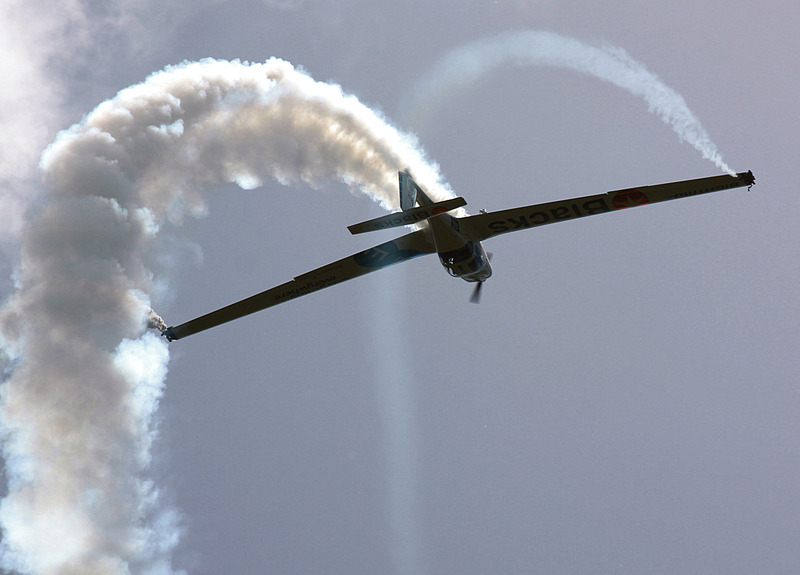 As part of the Battlefield Support set-piece we had the Antonov An-2 'Colt', which showed off its impressive slow flight performance as it practically hovered over the airfield helped by the strong wind. 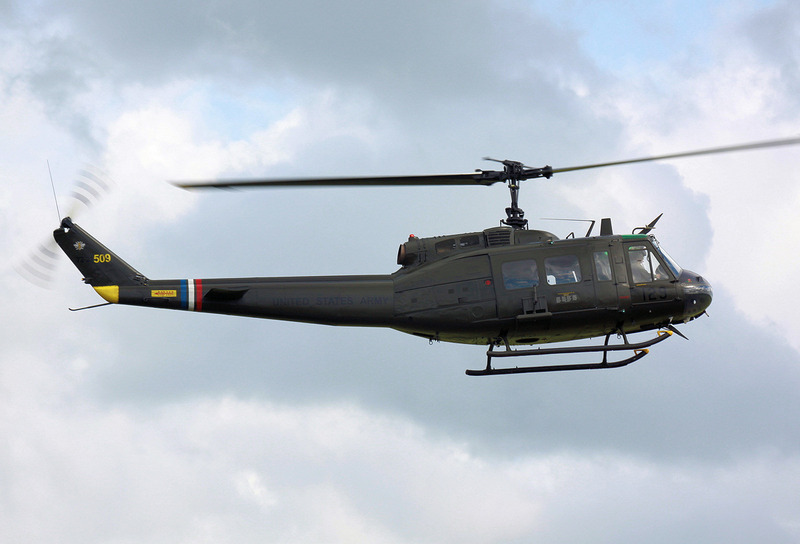 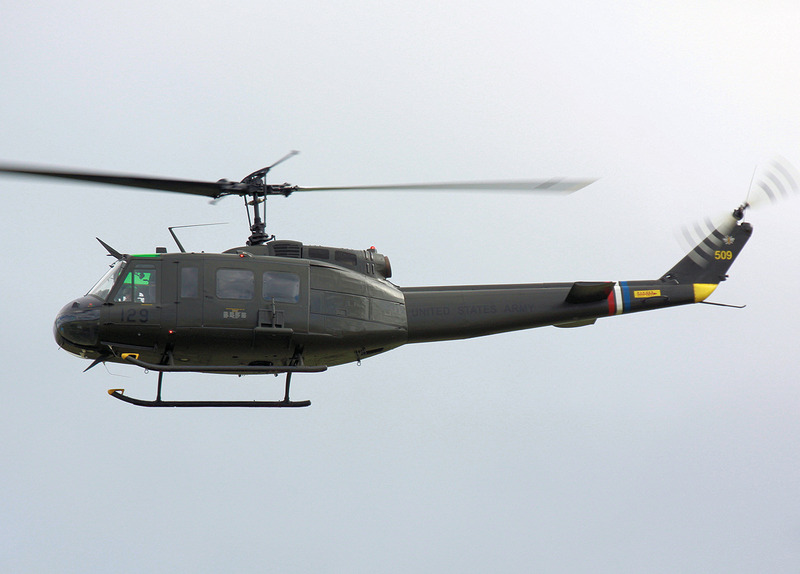 Also, as part of the Battlefield Support set-piece we saw the OH-6 Loach (G-OHGA), UH-1 Huey (G-UHIH), and the OV-10 Bronco, along with pyrotechnics. 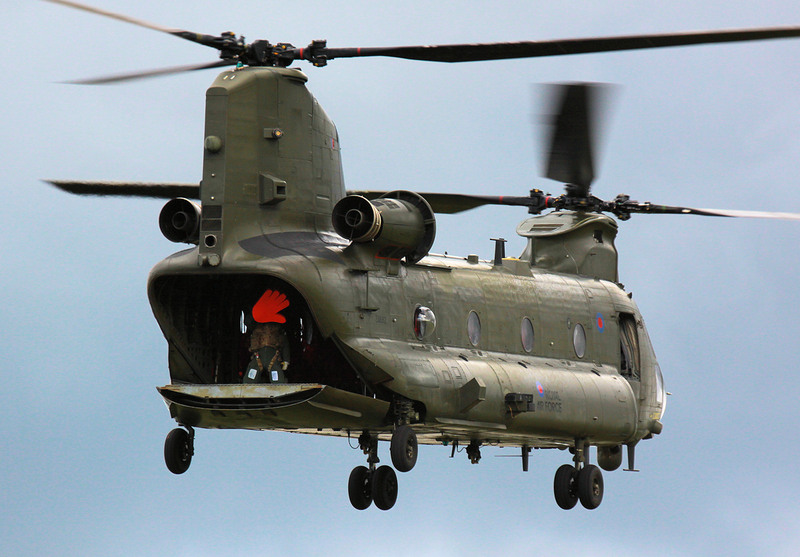 The last display item was the impressive RAF Chinook HC4 which showed how maneuverable it is for such a large helicopter, while we heard the distinctive slap of its rotor blades. 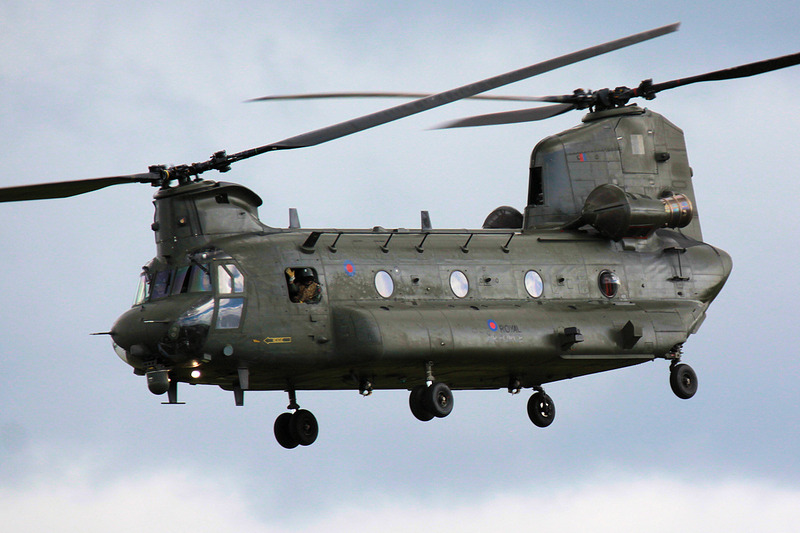 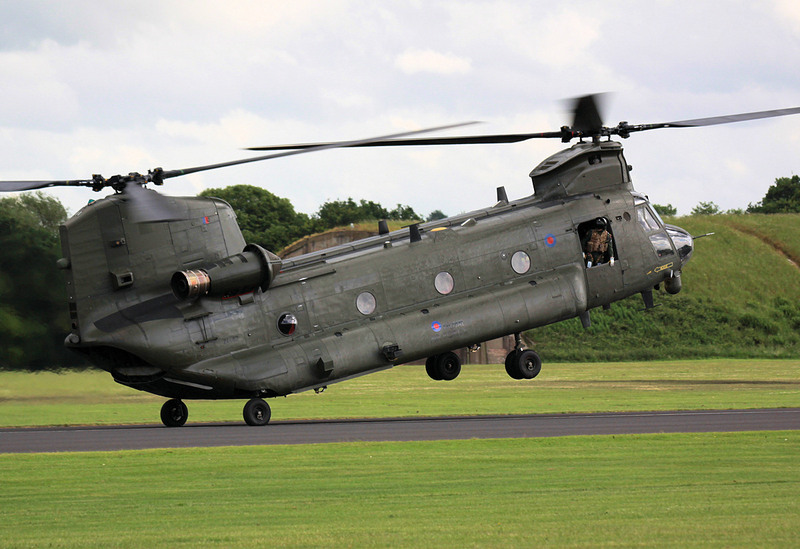 Chinooks can carry up to 55 troops and are also used for resupply, battlefield casualty evacuation, and carrying internal and/or underslung loads. 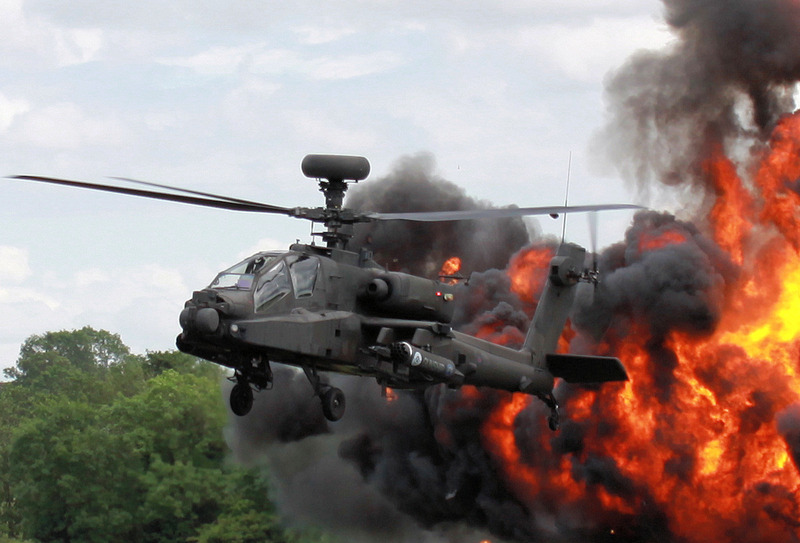 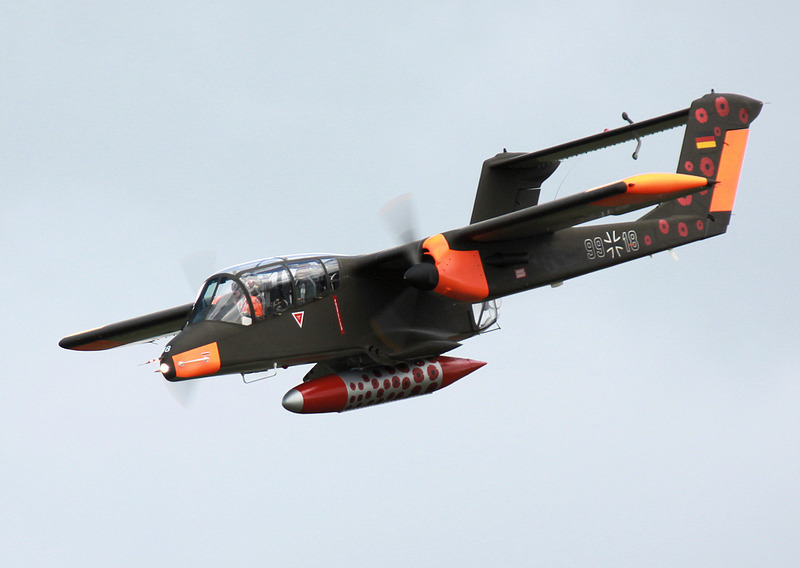 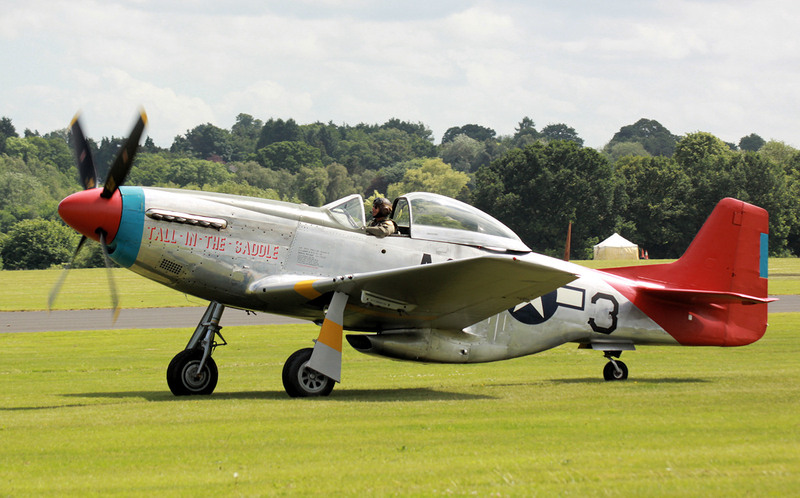 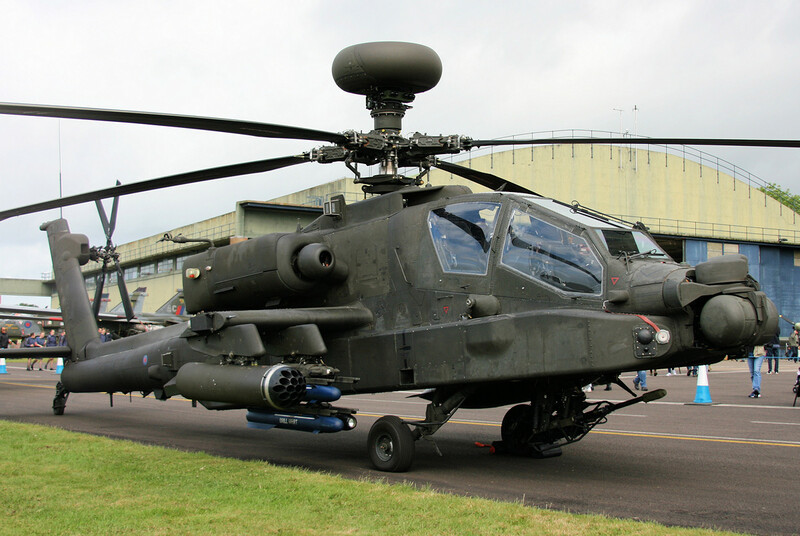 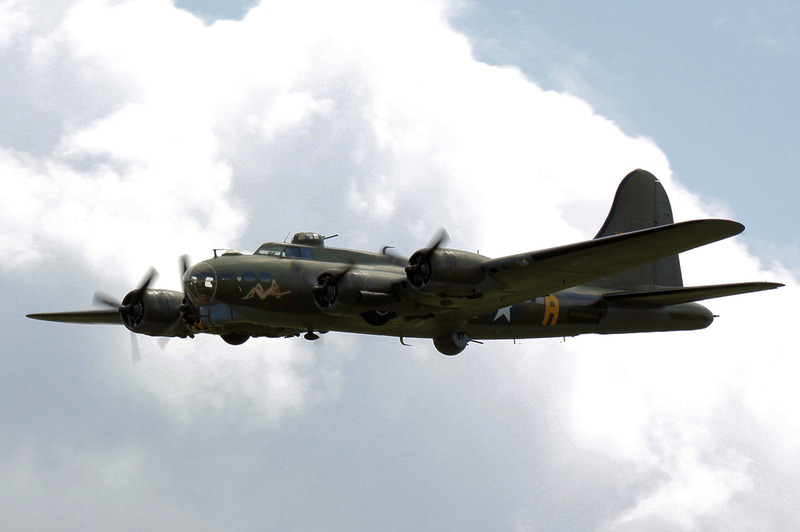 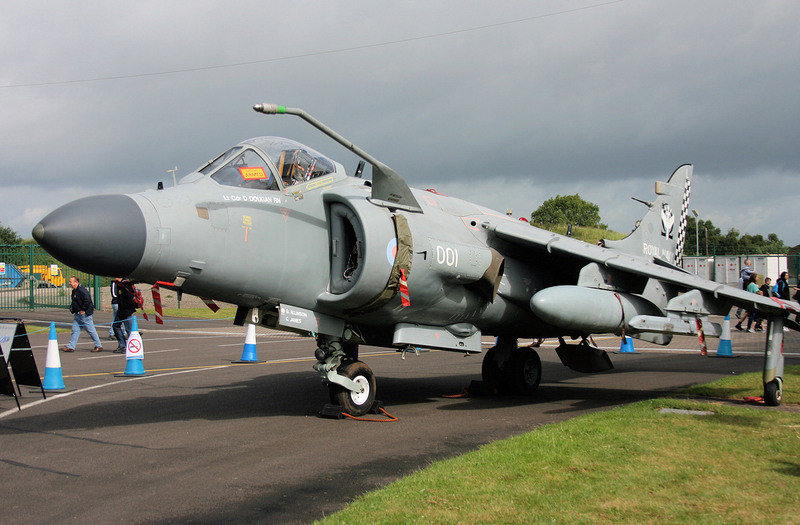 This year's RAF Cosford Air Show has been deemed a tremendous success with a six hour display, a good selection of display aircraft, good traffic management, and rave reviews from both families and aviation enthusiasts. 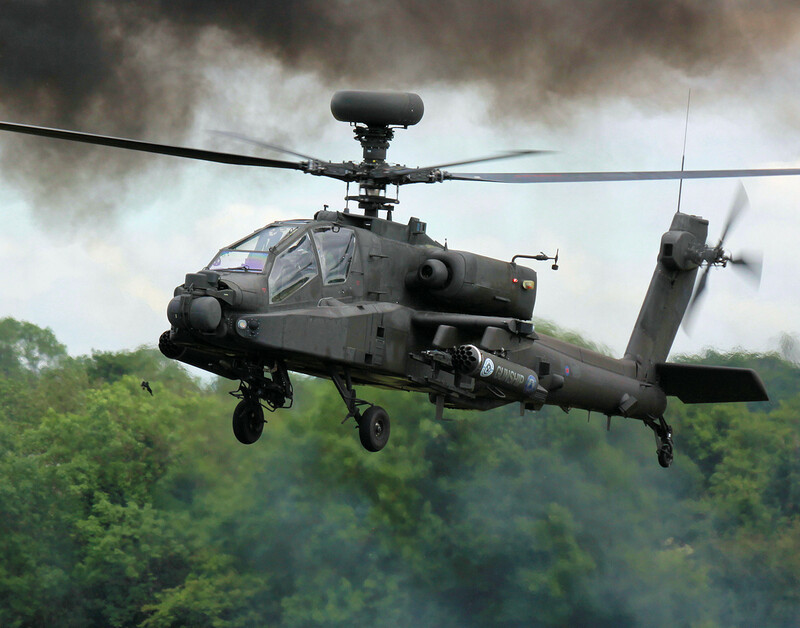 Thanks to the RAF Cosford Air Show organisers for a superb show and next year it will be held on 10th June 2018 and will celebrate the centenary of the creation of the Royal Air Force (RAF100).